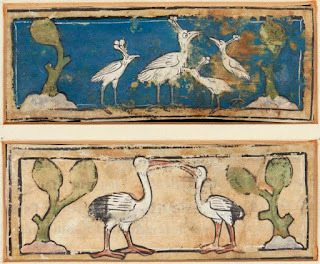 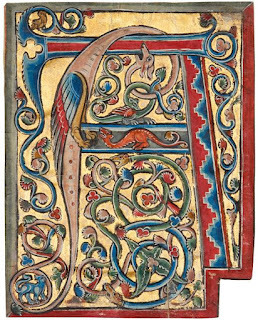 A short post today, simply to mention that there are five illuminated manuscript items buried within the Cone - Seeger sale at Sotheby's on 30 October. 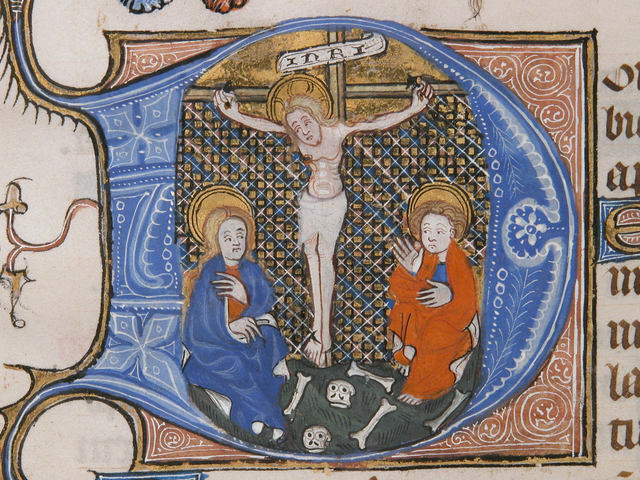 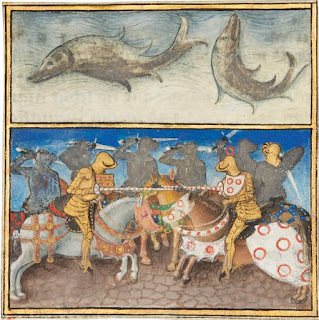 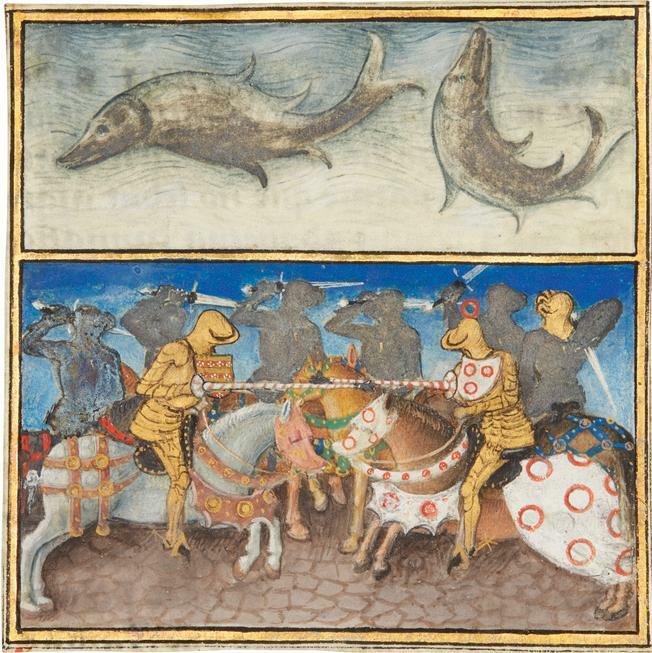 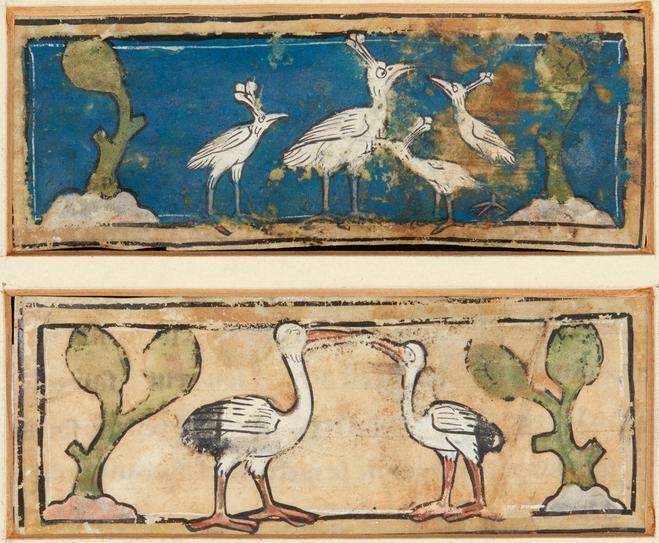 The main Sotheby's sale of medieval manuscripts will be on 4 December. 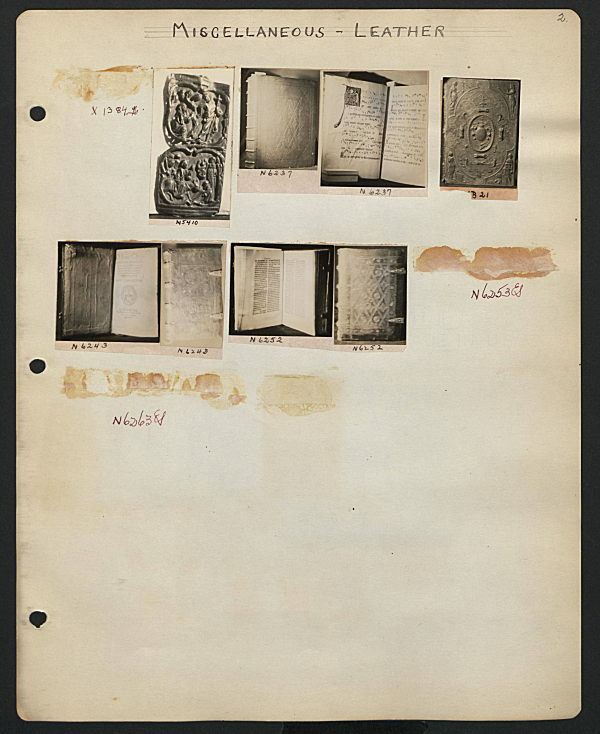 Last week we found an illuminated manuscript classified, because of its binding, under the heading "LEATHER". The image above is a page from the "PAINTINGS" section of one of the Brummer photobooks. 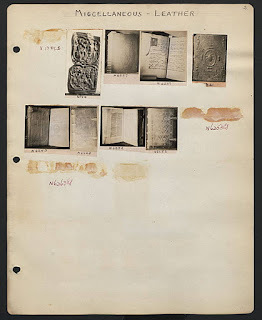 At first sight it looks like a jumble, and it is, but taking the images one by one, several manuscripts can be recognised. I will look at some of them, in separate posts. I have very recently become aware of the archive of the Brummer Gallery [Wikipedia], New York, now held by the Metropolitan Museum. 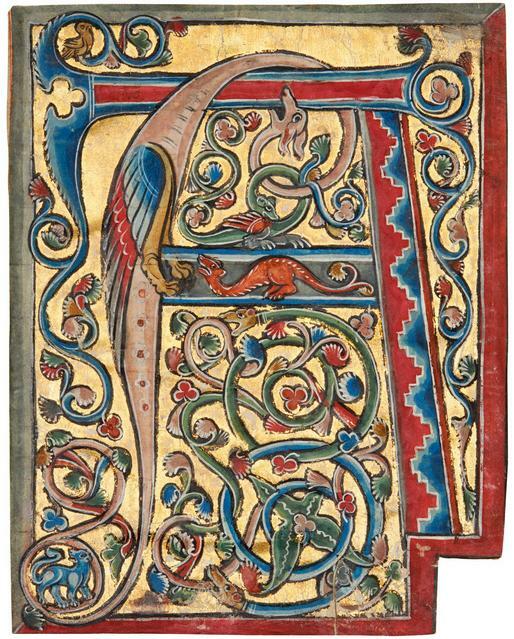 Medieval manuscripts were a very small part of their business, but some of them are of great interest; I anticipate doing at least three blog posts. 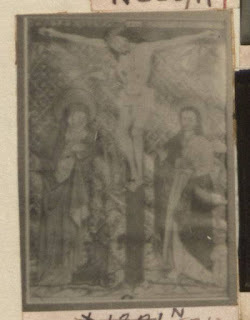 A nice example is on the page above, from the Gallery's scrapbook of sold items. Under the heading "Miscellaneous - Leather" it includes five small photos of bookbindings, and three of the insides of the respective books. 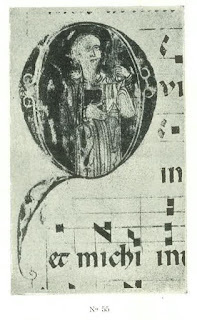 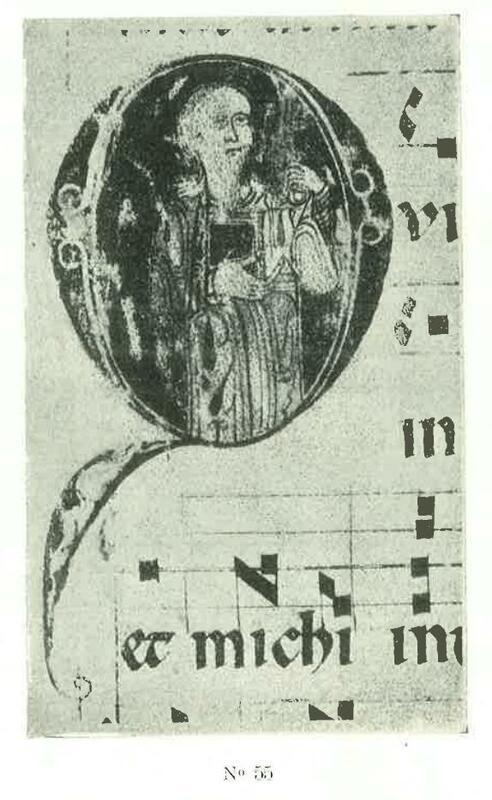 This historiated initial is on a leaf now at The Met in New York. 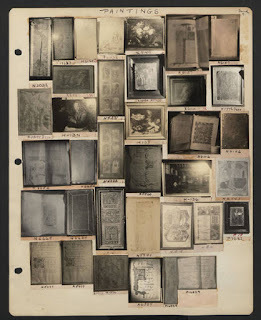 It comes from a manuscript several of whose leaves have appeared in dealer and auction catalogues from about 1930 to 2001.